Dr Amelia Simpson is one of Australia’s leading scholars of discrimination and equality principles in constitutional law. Her published research on interstate free trade doctrine has been cited and quoted with approval by pluralities in Australia’s High Court and Federal Court. 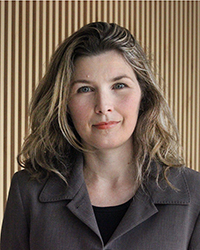 Amelia’s wider body of research has been cited extensively within the writings of other leading public law scholars and she was ranked in the top 20 most prolific publishers in Australia’s highest quality law journals over the period 2000-2010. Amelia is an author of Hanks Australian Constitutional Law: Materials and Commentary (2016, LexisNexis), an invited contributor to the forthcoming Oxford Handbook of the Australian Constitution, edited by Cheryl Saunders and Adrienne Stone, and is also contributing to the forthcoming Australian Constitutional Values collection edited by Rosalind Dixon. 'Parliaments' in Cheryl Saunders and Adrienne Stone (eds) Oxford Handbook of Australian Constitutional Law (OUP, 2018). 'Equal Treatment and Non-discrimination through the Functionalist Lens' in Rosalind Dixon (ed) Australian Constitutional Values (2018, Hart-Bloomsbury). 'Social Equality in Australia: the Constitution that Time Forgot', (2017) 4(1) Journal of Constitutional Justice 153-185. Dan Meagher, Amelia Simpson, James Stellios and Fiona Wheeler Hanks Australian Constitutional Law and Theory (2016, 10th ed, LexisNexis). 'Treachery of Heroism? The Judgment of Justices Deane and Toohey in Leeth v Commonwealth' in Andrew Lynch (ed) Great Australian Dissents (2016, CUP). ‘Fortescue Metals Group Ltd v Commonwealth: Discrimination and Fiscal Federalism’ (2014) 25(2) Public Law Review 93-98. ‘The (Limited) Significance of the Individual in Section 117 State Residence Discrimination’ (2008) 32(2) Melbourne University Law Review 639-71. ‘The High Court’s conception of discrimination: origins, applications and implications’, (2007) 29(2) Sydney Law Review 263-95. ‘Grounding the High Court’s Modern Section 92 Jurisprudence: the Case for Improper Purpose as the Touchstone’ (2005) 33(3) Federal Law Review 445-84. ‘State Immunity from Commonwealth Laws: Austin v Commonwealth and Dilemmas of Doctrinal Design’ (2004) 32(1) UWA Law Review 44-62. Dipping her toes into the research waters pays off as Summer Research Scholarship leads to a job. At ANU Open Day, you'll see, hear and discover why the ANU College of Law is ranked among the top 15 law schools in the world. We have a program of events on this Saturday (27 August) that will give you many opportunities to speak with staff and students to get an insight into what it is like studying at Australia’s national law school. The Centre for International and Public Law and The Australia Institute are pleased to host a discussion of the High Court’s decision in Brown v Tasmania  HCA 43. In June 2015 Amelia presented at a workshop examining dissent within the High Court. Her paper analysed the idea of an implied constitutional equality principle, the veracity of the standard criticisms of this idea, and whether and how the idea might be revived in future. That paper is to be published in Andrew Lynch (ed) Great Australian Dissents, CUP (2016). Amelia is also an invited contributor to the forthcoming Oxford Handbook of the Australian Constitution, alongside many of Australia’s leading constitutional jurists and scholars.